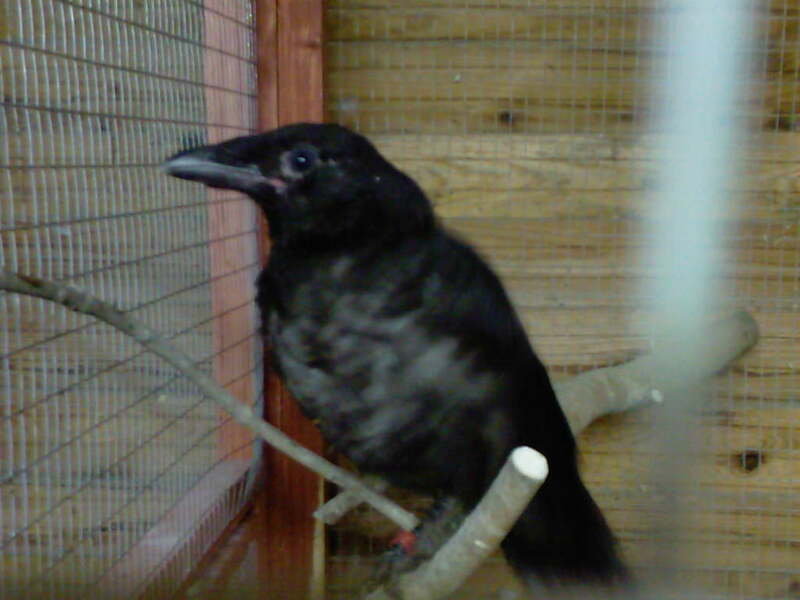 This is a picture of an orphaned crow originally reported as a jackdaw. He is currently under going rehabilitation as he enjoys human company too much. At the present time he is a resident.